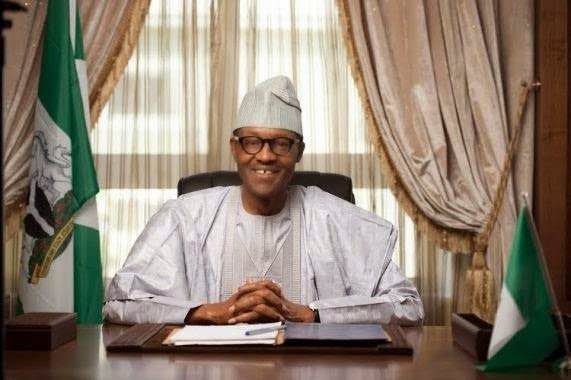 Dear President-elect Muhammadu Buhari, I will begin this piece by congratulating you on your historic victory. I must confess, at the risk of being termed partisan, that like other Nigerians, I celebrated your victory because it was a lesson in perseverance and how one must never give up on a dream in spite of the challenges and obstacles in one’s way. Even now, I still marvel at the doggedness that drove your ambition since 2003 when you began the journey to govern Nigeria yet again after more than three decades of leaving power. In spite of the challenges, hate campaigns and propaganda targeted at your person, you were undeterred. You stuck stubbornly to your dream. Your victory is a conviction rooted in self-belief. I was also elated not only because of your victory but the significance of unseating an incumbent who also was magnanimous enough in defeat to concede defeat and congratulate the winner. Both your victory and President Goodluck Jonathan concession have further deepened our democracy. Readers of this column will know that I have been an unrelenting critic of President Jonathan’s administration. But in the twilight of his presidency, the outgoing President’s heroic act has taken our democracy several steps forward. Now, we can look ahead with hope that our democratic culture has further been deepened by an outgoing president who is magnanimous in defeat and an incoming president-elect who is humble in victory. As you assume the mantle of leadership, you owe our country a duty to further strengthen our democracy by being the symbol of a united Nigeria as demonstrated in your victory. While you wait to be sworn in, I have decided to humbly offer a piece of advice that will guide your presidency and cement your place in Nigeria’s history. The single advice I will offer you on this page is to remind you that your victory belongs to the Nigerian people. Dear Buhari, you are not an ethnic or a sectional president. Your victory belongs neither to the Fulani nor the north. Just like the outgoing government, there will be temptation to do the bidding of your people. You must resist it like a statesman. This is one fact that must guide your conduct as President. To act or do otherwise will be a betrayal of the mandate and the confidence reposed in you by Nigerians from different creed, ethnic and religious backgrounds. As President, you must always remember those Nigerians from the East, North, South and West who thronged your campaign rallies. They are looking forward to the promise of “change” your party made to them. You cannot afford to alienate any Nigerian. The entire country should be your constituency. Mr. President-elect, I am glad that you already mentioned in your acceptance speech that there will be no room for vindictiveness but that does not mean officials who commit crime against the Nigerian people must not be held accountable. As a people, Nigerians hope that your victory will unify the country more than ever before. But it remains to be seen if your presidency will avoid the mistakes of the past. Your success in the next four years will be determined by how you manage our divisive fault lines as a nation. Needless to say that our fault lines have been exploited by myopic leaders who sought to exploit them for political gains; but as President, you can change the narrative by being a unifying figure. No doubt, that there will be ethnic, religious and primordial challenges you must overcome. How well you navigate these fault lines will determine your success. I am strongly hoping that having been a Head of State and statesman, you are nationalistic enough to avoid ethnic and religious sentiments in decision-making as President. You must be guided in your decisions and must not be seen as the President of the north. In spite of the propaganda and hate campaigns targeted at your person, Nigerians still voted for you. By electing you as their new president, Nigerians expect a president who will not act based on sectional interests. With their votes, they do not see you as a northern leader. Nigerians believe you will be the president of all Nigerians. They hope equity, fair play and justice will guide your policy decisions as president. You must not disappoint them. The temptation to do the bidding of your “people” will be there. Already, people are expressing fear of a northern agenda. While I see this as a conspiracy theory, you must dispel the fears by being a national rather than a sectional leader. As you assume the mantle of leadership, be reminded that your oath of allegiance must be to Nigerians and not ethnic irredentists and groups laying claim to your presidency. In this wise, groups like Arewa Consultative Forum, Oodua Peoples Congress, Afenifere, Ohanaeze Ndigbo must be kept at arm’s length. Really, how many of these groups helped your cause when you were a candidate? Was it not ordinary Nigerians that voted for you? You must also stay away from those northern groups who are fond of drumming up the “power must return to the north” slogan. They may pretend to speak for their ethnic groups but in reality their divisive rhetoric has worsened our fault lines over the years. Fraternising with them will alienate your government from ordinary Nigerians and deepen our fault lines. Let your focus be on the masses that elected you as their president. After all, you are known to be the champion of the downtrodden. It will be a big letdown if you turn your back on them like the outgoing government. I must remind you that one of the reasons that led to the defeat of President Jonathan is the way in which Nigerians perceived his government as pandering to ethnic and religious sentiments. Just like you, the President had the mandate and goodwill of Nigerians at the inception of his administration in 2011, but he soon began to see himself as an Ijaw president while he surrounded himself with ethnic warlords who threatened the country with divisive rhetoric. His government was defined by “It’s our turn syndrome.” They alienated other Nigerians across the country who voted for him in 2011. In the run-up to the elections, they threatened violence if Jonathan was not re-elected. In the same vein, there are ethnic elements in the north who have been telling Nigerians that power must return to the north. Now that you have been elected president, you will have to strongly remind them that your victory is not a fulfilment of the “power must return to the north” mantra. Neither is your victory a confirmation of the alleged “born to rule mentality” of the north. As president, you must demonstrate to the ethnic hegemonists from the north that you intend to be different as a Nigerian president and not a president of the north. So, when they begin to show their faces around the Presidential Villa, remind them that your victory belongs to Nigeria. Only then can you carve a place for yourself in history as a selfless leader. I pray for your success.